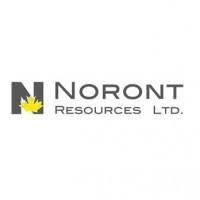 Noront Resources Ltd. (TSX-V: NOT) is pleased to announce the closing of a private placement of 11,130,807 Flow-Through Units at a price of $0.31 per Flow-Through Unit for gross proceeds of $3,450,550. The proceeds from the Flow-Through Unit Offering will be used to advance the Company’s exploration program in the Ring of Fire. The immediate priority is to follow-up on the 26.4 metre massive sulphide intersection in McFaulds drill hole 18-98 which graded 2.1% copper, 3.4% zinc and 5.5 gpt silver. The Company will also be focusing on its nickel exploration program in response to interest in the nickel market by battery manufacturers for electric vehicle use. Each Flow-Through Unit is comprised of one common share, which will qualify as “flow-through” shares pursuant to the Income Tax Act (Canada), in the capital of the Company and one-half of one common share purchase warrant, with each whole warrant entitling the holder to purchase one common share at a price of $0.34 per share on or before April 12, 2021. The securities issuable pursuant to the Flow-Through Unit Offering are subject to a statutory hold period of four months plus one day which will expire on August 13, 2019. Beacon Securities Limited acted as financial advisor and received 326,511 common shares in satisfaction of their advisory fee. EMD Financial Inc. received a finder’s fee, paid in common shares, equal to 276,823 common shares in satisfaction of their finder’s fee. The common shares are subject to a statutory hold period of four months plus one day which will expire on August 13, 2019. The Company announces that payment of interest in the amount of $400,968 for the first quarter of 2019 pursuant to a loan agreement entered into between Noront and Resource Capital Funds V L.P. dated February 26, 2013 has been satisfied by delivery of 1,448,061 common shares of the Company at an effective price of $0.2769 per Interest Share. The Interest Shares were delivered on April 10, 2019 subject to a four month hold period, expiring on August 11, 2019. The calculation of the number of Interest Shares issued was based on the volume weighted average trading price of the common shares of the Company during the 20 trading days prior to March 31, 2019. After giving effect to the Flow-Through Unit Offering and issuance of the Interest Shares, there are 392,716,129 common shares of the Company issued and outstanding. The Company also announces the grant of stock options to acquire an aggregate of 1,500,000 common shares to the Company’s Board of Directors, with an exercise price of $0.26 per Common Share, the closing market price on the date of grant, exercisable for a period of five years. The options were granted pursuant to Noront’s stock option plan. The issuance of the options is subject to all applicable regulatory and exchange approvals.